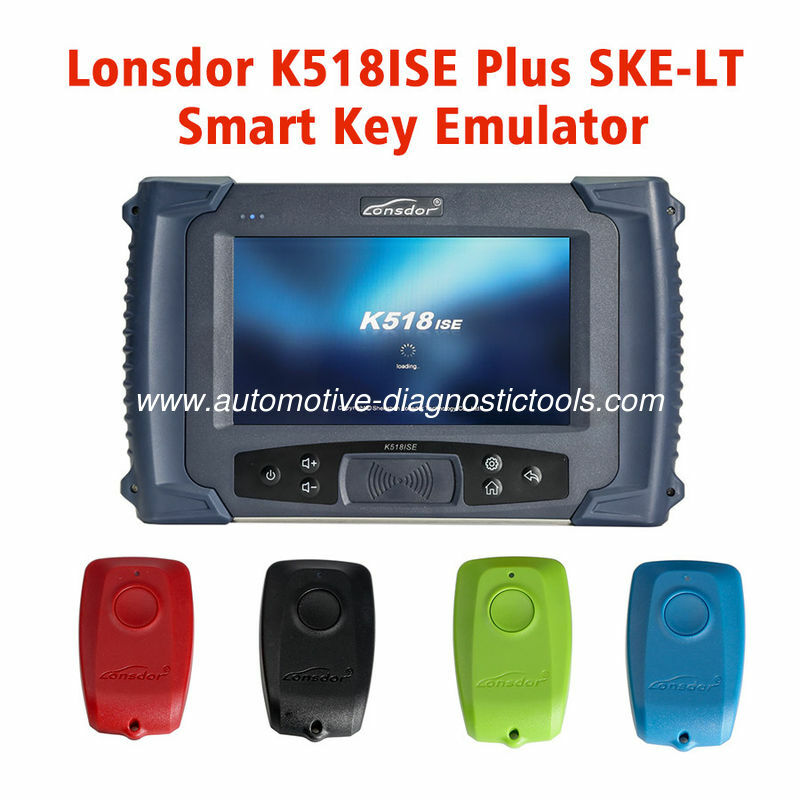 Own Lonsdor K518ISE Key Programmer package and SKE-IT Smart Key Emulator, you can program Toyota/Lexus smart key for all key lost via OBD and a wide range of makes from Europe, America, Asia and China. K518ISE is built-in Volkswagen 4th 5th adapter & RFID transponder reader / writer, supports free BMW FEM key programming, no tokens limitation and free update. Own Lonsdor K518ISE Key Programmer package and SKE-IT Smart Key Emulator, you can program Toyota/Lexus smart key for all key lost via OBD and a wide range of makes from Europe, America, Asia and China. K518ISE is built-in Volkswagen 4th 5th adapter & RFID transponder reader / writer, supports free BMW FEM key programming ( for all keys lost, enter 32-bit ISN code). Lonsdor K518ISE is specialized on Volvo, Maserati, Ferrari, Lamborghini, Bentley, Nissan etc. Lonsdor K518ISE is free update online and no token limitation.